Refiners around the world are struggling to come to terms with impending sulphur cap rules on ship fuel, the International Bunker Industry Association has warned in a release. A recent consultancy survey suggested that some 85% of refiners have not made plans for how to deal with the expected dramatic fall in global demand for high sulphur fuel oil (HSFO) come the IMO-mandated sulphur cap in 2020. 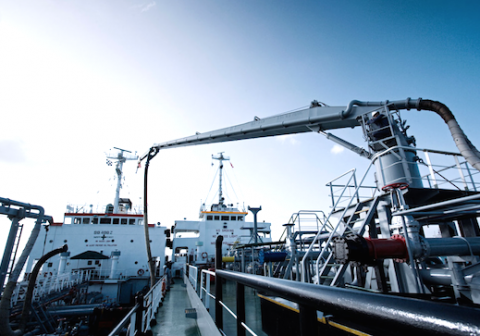 A survey conducted by consulting company KBC released in July found only 15% of oil refiners know how they are going to handle the shift in demand associated with the drop in the global sulphur limit for marine fuels from today’s 3.50% to 0.50% at the start of 2020. A report published by KBC in April this year says the 2020 sulphur limit for marine fuels will likely see more than 2m barrels per day (b/d) of HSFO become “stranded in the market” as ships shift to low sulphur fuels to comply. The KBC report said industry feedback indicated that maybe 10-15% of ships will have installed scrubbers that will enable them to continue to use HSFO compliantly by 2020.